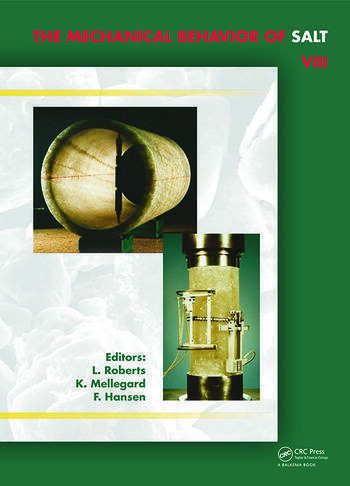 The volume includes 44 quality papers, each receiving at least two independent technical reviews. The interrelationships of research and application advance experimental techniques, better define physical processes, and improve modeling. Multiplied by bourgeoning computational power, the science of the mechanical behavior of salt contributes to increased safety, efficiency, and economy. Mechanical Behavior of Salt VIII appeals to a broad and durable transnational community involved with salt research and practice. This volume provides perspectives and tools for today’s challenges of design, analysis, and performance considerations. A.M. Costa, C.S. Amaral & E. Poiate Jr. A.M. Costa, P.V.M. Costa, C.S. Amaral & E. Poiate Jr.